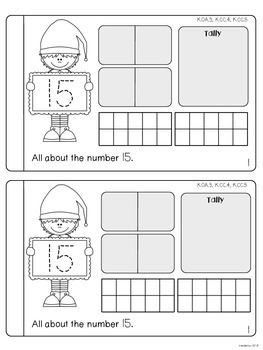 Each sheet includes two on a page for easy copying and assembly. 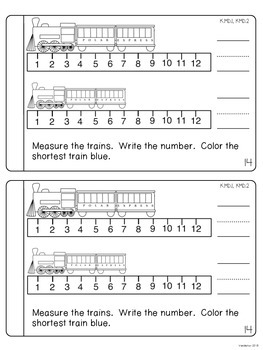 Pages are numbered with CCSS at the top right-hand corner. Fonts are kid-friendly and all pages include black and white images. 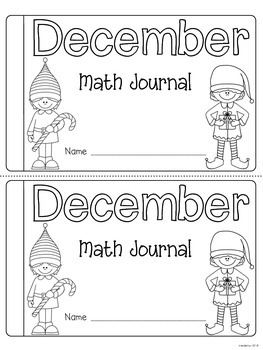 The December Daily Math Journal can be used in class or as daily homework for kindergarten students. 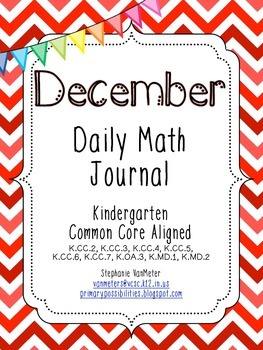 I have August Daily Math Journals for free in my store. This provides an example of this product. If you have any questions feel free to contact me at vanmeters@vcsc.k12.in.us.